Seminal Vesicle - Mineralization. 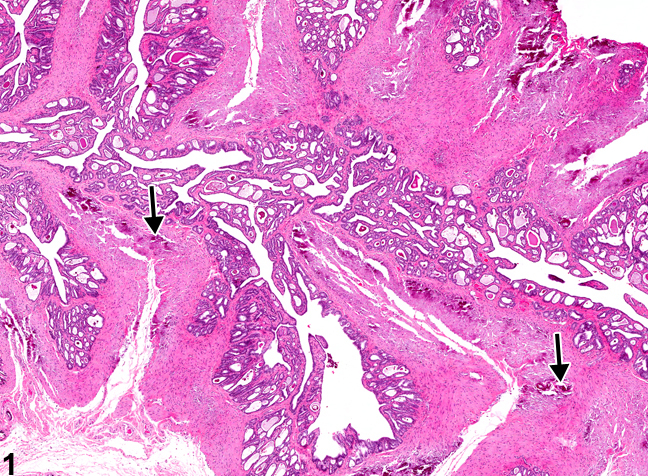 Arrows indicate multifocal mineral deposits in a male F344/N rat from a chronic study. Seminal Vesicle - Mineralization. Higher magnification of Figure 1. 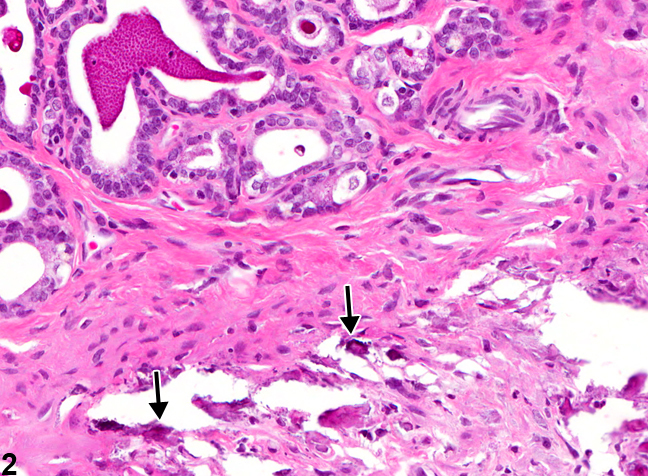 Arrows indicate multifocal mineral deposits in a male F344/N rat from a chronic study. Seminal Vesicle - Mineralization. Higher magnification of Figure 2. Multifocal mineral deposit in a male F344/N rat from a chronic study. Mineralization consists of deposition of irregular amorphous basophilic material ( Figure 1 , Figure 2 , and Figure 3 ). It can be focal or multifocal (arrows, Figure 1 and Figure 2 ). Mineralization is uncommon in the seminal vesicle and is likely an incidental finding not associated with chemical treatment. 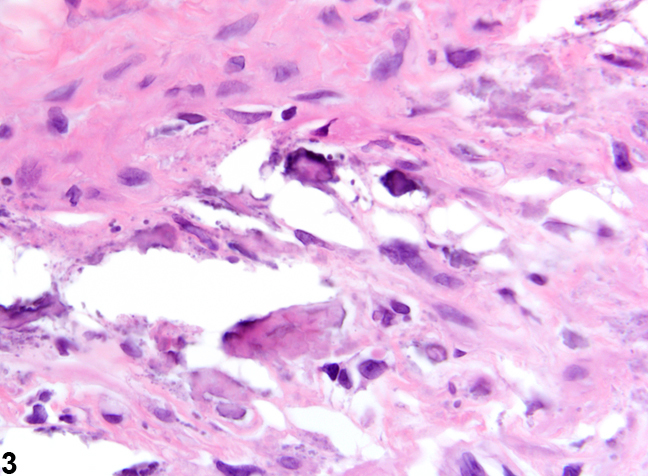 Metastatic mineralization occurs in normal tissues and is associated with elevated blood calcium levels. Dystrophic mineral deposits occur in abnormal tissues and are not associated with elevated blood calcium levels. In Figure 1 , Figure 2 , and Figure 3 , the seminal vesicle is atrophic with increased connective tissue, indicating that the mineralization is probably dystrophic. Mineralization should be diagnosed and given a severity grade. 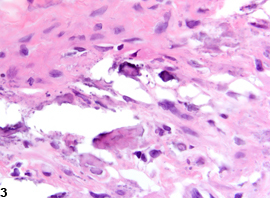 If both seminal vesicles are involved, the diagnosis should be qualified as bilateral, and the severity grade should be based on the more severely affect seminal vesicle.